Pump N Pour is the operating name for the two convenience stores owned and operated by Jeffrey D. Plott, a founding member of Tri-Lakes Petroleum, LLC. Both stores fly under the CITGO brand. Two Locations, both are OPEN 24 hours a day / 365 days a year to serve our valued customers. 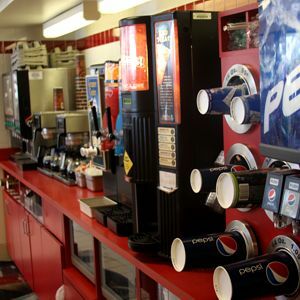 14 Saginaw Street, Sanford, MI (989) 687-2120 - offering Gasoline and Diesel, Convenience Items, Cold Beer, Fresh Sandwiches, Salads, Fruit Cups, Yogurt Parfaits, The Coffee Beanery Branded Coffee, Fountain, Rollegrill, Cigarettes & Tobacco at competitive prices. 100 Lincoln Rd., Alma, MI (989) 463-1118 - offering Gasoline, Off-Road Diesel, Kerosene, 90 octane ethanol free Rec Fuel, Convenience Items, Cold Beer, Fresh Sandwiches, Salads, Fruit Cups, Yogurt Parfaits, Hot Soups, The Coffee Beanery Branded Coffee, Fountain, Rollegrill, Cigarettes, Tobacco and Liquor at competitive prices. Take advantage of our special deals & promotions! Apply for the new CITGO Rewards® card today at www.CITGORewardsCard.com. 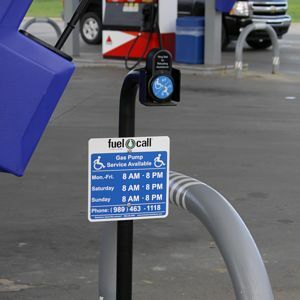 When you apply and if you are approved, you will earn 10¢ on every gallon* in fuel statement credits for the first 3 months from the date your account is opened, and 5¢ on every gallon* in fuel statement credits after the first 3 months. *Subject to credit approval. See CITGO Rewards® Card Program Rewards Terms for details.